Each year some 9.6 million people die from cancer, the second leading cause of death worldwide. World Cancer Day on 4 February has several aims. One is to raise cancer awareness; another is to call for better prevention, detection and treatment for everyone. A key objective is to reduce fear, dispel myths and change behaviours and attitudes. Knowledge about cancer is growing rapidly, with extraordinary breakthroughs in medicine, diagnostics and science helping to reduce risk factors, increase prevention and improve diagnosis, treatment and care. As a result, more than a third of cancer cases — many associated with the workplace — are now preventable. Another third can be cured if detected early and treated properly. National leadership on policies, legislations, investment and innovation is the key to accelerated progress, the organisers say. While cancer awareness is vital in the UK, the UN’s World Health Organization (WHO) and other UN agencies recognise the need for a much wider global commitment. Some 65% of cancer deaths are in the world’s least developed regions. However, the organisers note that even in a higher income country, inequities remain in lower-income, indigenous, immigrant, refugee and rural communities. It is estimated that 3.7 million lives could be saved annually by well-resourced prevention, early detection and treatment strategies. Cancer starts when changes in a group of normal body cells cause uncontrolled, abnormal tumour growth, although leukaemia (blood cancer) is the exception. Untreated, tumours can spread to normal tissue through the bloodstream and lymphatic systems and affect the digestive, nervous and circulatory systems, or release hormones affecting body function. 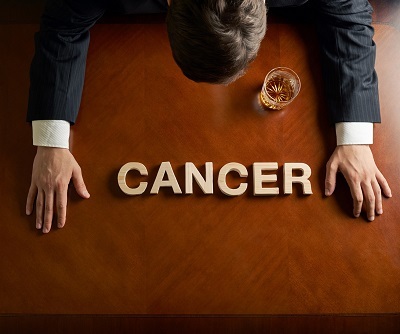 What are the workplace cancer hazards? Manmade ionising radiation sources can cause cancer, including radon, X-rays, gamma rays and other forms of high-energy radiation. Workers can be at risk from exposure to cancer-causing substances, eg chemical dye industry workers have a higher incidence of bladder cancer. Asbestos risks are well known. For many women and men facing cancer or a similar medical diagnosis, maintaining a sense of normality is essential in their fight — and continuing with work can provide this. Therefore, it’s vital that employers know how to offer the right support and protection to their staff. When employers become aware of an employee’s cancer diagnosis, they should arrange a private meeting with them to discuss their health and requirements. While this kind of conversation is never easy, it’s important that both parties can be open and discuss the best way to support the employee at work — invite them to bring a friend or colleague along if it helps them feel more comfortable. whether any changes to the employee’s work are needed at this stage. Cancer is classed as a disability under the Equality Act 2010, so employers have a duty to make reasonable adjustments to remove any disadvantages the employee is facing because of their illness. any working practices which put them at a disadvantage. While the above is all well and good, employers also need to recognise that the employee will face different challenges at different stages of their illness, so adjustments agreed upon diagnosis may need reassessing when they’re undertaking treatment, etc. Therefore, it’s crucial to keep communicating with the employee, so managers can understand the changing disadvantages they’re facing and be able to review and adapt any adjustments and support. Where cancer treatment has resulted in the employee needing periods of time off work, it can be daunting for them to come back full time. Don’t put pressure on the employee to return at any point — but once they’re fit to come back, it may be beneficial for both parties to agree a phased or flexible return to work. Not only does this get the employee back into the workplace, it doesn’t place extra pressure or stress on them to return full time too soon, which in turn reduces the possibility of them taking further time off due to illness. Support and communication are key at this stage of their return to ensure the employee can continue performing their role in the long-term. Most cancers result from exposure to a number of different causal factors. Some cannot be modified although others can be, by reducing behavioural and dietary risks. Modifiable risk factors include the following. Alcohol — all alcoholic drinks increase the risk of six groups of cancers: bowel (colorectal), breast, mouth, pharynx and larynx (mouth and throat), oesophageal, liver and stomach. Weight — being overweight or obese is linked to an increased risk of developing 12 different cancers, including bowel and pancreatic cancers. Diet and nutrition — diets high in red meats, processed meats, salted foods and low in fruits and vegetables have an impact on the risk of cancer, particularly colorectum, nasopharynx and stomach. Physical activity — regular activity helps to reduce excess body fat and cancer risks, especially colon, breast and endometrial cancers risks. Tobacco — cigarette smoke contains at least 80 different cancer-causing substances. Certain viruses, bacteria and rare parasites can cause cell changes, leading to cancer. Identifying some cancers early improves successful treatment with fewer (or less significant) side effects. Cost-effective tests exist for colorectal, breast, cervical and oral cancers. Further tests are being developed for other cancers. Doctors can provide guidance on national recommendations for vaccinations, testing and screenings. For detailed legal information and advice on cancer-causing substances at work, see your Carcinogens topic.